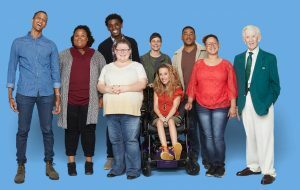 The National Institutes of Health (NIH) has launched a research program called All of Us. It is a historic effort to gather data from one million or more people who live in the United States. The goal is to accelerate research and improve health. By taking into account individual differences in lifestyle, environment, and biology, researchers will uncover paths toward delivering precision medicine. One of the reasons that genealogists take direct-to-consumer DNA tests is to discover more relatives. The other reason is to learn about their health. There are good reasons to put together a medical family tree that includes information about your relative’s and ancestor’s health issues. Sometimes, there are conditions that run in the family that can be prevented. The All of Us research program is a key element of the Precision Medicine Initiative (PMI), which launched in 2016. The All of Us research program seeks to extend precision medicine to all diseases by building a national research cohort of one million or more U.S. participants. Many factors have converged to make now the right time to begin a program of this scale and scope.